After a minor shunt involving a drunk driver and my beautiful Obsidian Black W210 Mercedes E320 back in 2007, I was lucky enough to be given one of the new W221 Mercedes S class’ as a courtesy for 3 months. At the ripe age of 21, I was more than chuffed with the hand that was dealt to me by the insurance company. The initially tried to get me a W211 E class but due to a shortage, the S320 cdi was the next car they had in their “like for like” courtesy car bank. I loved the car more than anything I had driven at that time, even the super cars and sports cars I had been lucky enough to pilot back then. I don’t know why, why but I am always drawn to big shiny barges. I guess it’s the inner magpie or secret wannabe oligarch that wants to show off using the “might is right” approach instead of the more modern and slightly tacky “speed is king” attitude that seems to be taking over the wealthy parts of London. Don’t get me wrong, I have always had a longing for a proper supercar in my collection. The idea of being able to wake up on a crisp Sunday morning and grab the keys to something with 12 cylinders, 2 seats and super-wide grippy rear tyres makes me all warm and fuzzy inside and every time I buy a lottery ticket I get straight on to the classifieds and I start stocking up on “saved searches”. But really, I am a lazy armchair driver. I think it’s from my love of road trips and tendency to apply for jobs that involve driving from one end of the country to the other. I have had small cars in the past, some quicker than others, but I always end up uncomfortable and I then get the big barge itch again. My biggest downfall is the 3 pointed star though, I always talk about how one day I’ll have my Bentley Arnage T and my Rolls Royce Phantom, but I also fear that I would get distracted on the way to the dealerships and end up with a brand new S63 AMG. After spending 3 blissful months with the W221, I had to return it as my W210 was finally repaired, but from that point on I said I would get a W221 S class of my own soon! Unfortunately this didn’t happen as quickly as I had originally hoped. I went to a BMW 1-series after the E class, and as mentioned above, I got very bored very fast and then had a moment of madness and bought a stunning (in my opinion, anyway) W215 Mercedes CL500. She was everything I wanted, a huge 5 metre long body with 2 enormous doors and pillarless windows, a V8 that could move small houses and all the luxury and comfort you could ever want in a car. 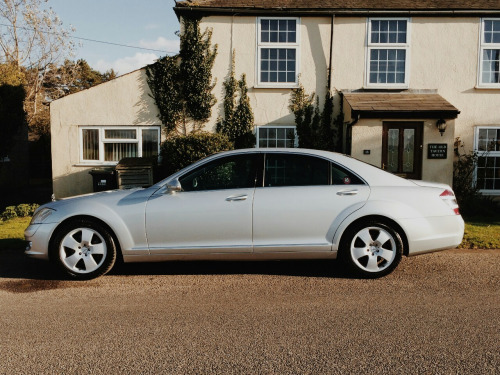 I loved the CL500 like it was my own child, I treated it to a stainless steel exhaust system, new tyres on a regular basis and I even took it on holiday…twice! Once to the infamous Nurburgring where it ate a set of tyres and set fire to all it’s brake pads and then 6 months later I took it all the way to Bologna, in Italy to bring my girlfriend home from her student placement year in the fine home of meaty pasta. Unfortunately, after that final trip, the honeymoon period was over and the down side of having a girlfriend under the age of 25 living with you in the middle of nowhere means you need to share a car that she can actually get insured on. This gave me a great opportunity to finally scratch an itch I had for a very long time. After a few days of internet trawling, I drove down to East London with a pal and we picked up an R53 Mini Cooper S. It was a great little car, nippy, agile and quite a looker in the right light. However, yet again, it was too small. Fortunately (or unfortunately, depending on how you look at it) the decision to change it was made for me after just 4 month when it decided to blow up. Now the 2 cars after that were far from exciting, but they filled a gap and served a purpose to help me save up while I was changing career and moving house. I had an Audi A8 (the really cool old D2 type that looked like an Eastern European drug baron’s mode of transport) and another even less exciting Audi, an A6 Allroad *cough*. It had now been a year since I had the CL and therefore I needed to get back into a Mercedes, and more importantly, the Mercedes I had wanted for all those years prior. The market seemed to be just right, petrol prices were starting to dip, my insurance was dropping and the launch of the new W222 meant there were a few more examples floating about in my price range. 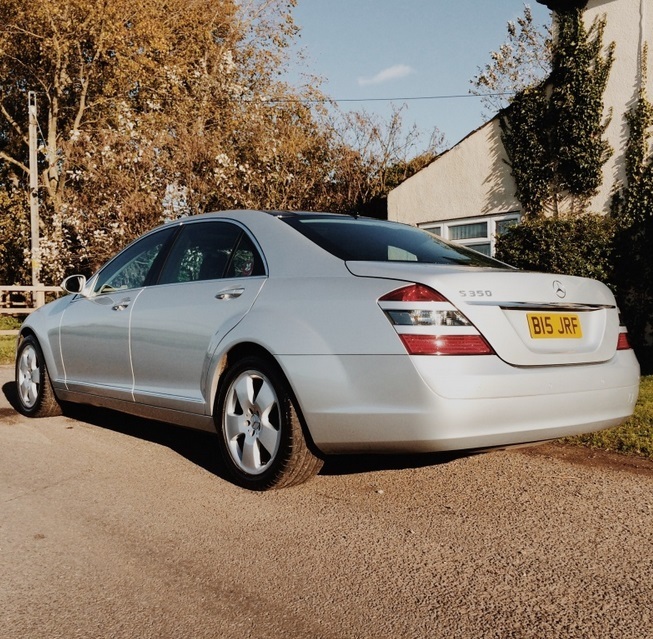 Desperate to not have a diesel, I did some extensive research and discovered that the petrol V6 S350 returned almost the same average MPG as the diesel S320, and as my job meant I would be mainly motorway cruising, it was a no-brainer. My goal was simple, to get a silver W221, with a petrol engine, a panoramic roof, as many (working) toys as possible and one with a solid history. It took me all of 3 days to find the one. And it was conveniently down near my other half who happened to be graduating that weekend so as long as I was at the ceremony, I could slip away for a quick test drive during all the preparation that goes into such an event. I originally didn’t want a LWB model as, well, why would I, I am not a chauffeur, nor do I have one, but after looking at the spec and comparing similarly priced SWB models, I was clearly getting a lot more bang for my buck. She had reclining heated rear seats, heated and cooling massaging front seats, the pano roof I was after, the utterly useless but still cool rear roller blind, an amazing entertainment system and the smoothest ride quality for the money. Needless to say, hands were shaken, money was transferred and documents were signed and two long and sleep free weeks later, the S class was on my driveway. I’m still in love with this car, which a lot of people find hard to understand as I am only 28 years old and this is generally more suited to the more mature gentleman to waft to the golf club in. I have a tendency to get bored of cars quite quickly and they don’t normally hang around long. I have had 15 cars in the last 10 years, and even though I love this car, it’s not without its issues and there are a few replacements in the “maybe” list already… but more of that another time! For now, here is the spec and a few pictures.